What Sort of Work do Concrete Specialty Companies Do? If you have a concrete job to complete, you may be wondering whom you call to get the job done. Contractors abound but finding a company that makes concrete their specialty may not be easy to find. If you’re looking for a concrete specialty company, we’ve put together a few tips for you. Finding specialty concrete companies can be done any number of ways. If you are a seasoned builder, you may have heard some names through word-of-mouth. You can search on the internet, check user reviews, and ask for a few quotes. Asking around at your local hardware stores is another good option. What Does a Concrete Specialist Do? But how do you know if you need a concrete specialist? What sorts of jobs do they perform? Outdoor concrete needs – This includes anything from driveways and parking lots to sidewalks and curbing. Many specialists also do concrete stamping and staining to add a stylish touch. If you’re looking to create a garden space, an attractive outdoor area, or any type of large concrete area these services might be for you. Flooring needs – Many commercial spaces use concrete floors for their factory buildings, stores, or parking areas. Polished concrete is especially popular in consumer shopping areas, as it adds a sophisticated and attractive atmosphere. Concrete polishing is a service that a concrete speciality company can perform. 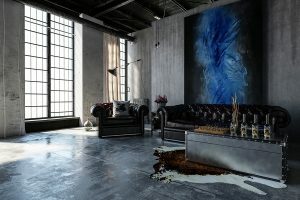 Stained concrete is another popular flooring option, particularly for warehouses. 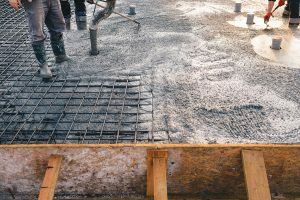 Sewer and drainage needs – For those looking at sewer or drainage construction, concrete specialists can help you pour and mold the concrete drainage system that meets your needs. They’re familiar with the specifications and standards in your area. This means they can create a drainage system that works within local laws. Foundations – Concrete specialists can pour building foundations. Whether you’re looking for slabs or some other type of foundational base, a concrete company can help. Walls and specialty needs – Pre-fabricated concrete wall slabs have become increasingly popular for businesses looking to build quickly. A concrete specialist can help you decide if this is the right building material for you. Other special needs include rails, columns, and benches. You may have an entirely different project in mind than those listed here. If so, speaking with a specialty concrete company can help answer any questions you have. These companies are used to working on specialized projects. Their clients often have a wide range of industries. Speciality concrete companies can provide quality and professional work on a wide range of projects. How Can You Increase Your Libido Naturally?